When I originally planned our 2017 Fall National Park tour, I had reserved 5 nights at Sherando Lake Recreation Area . 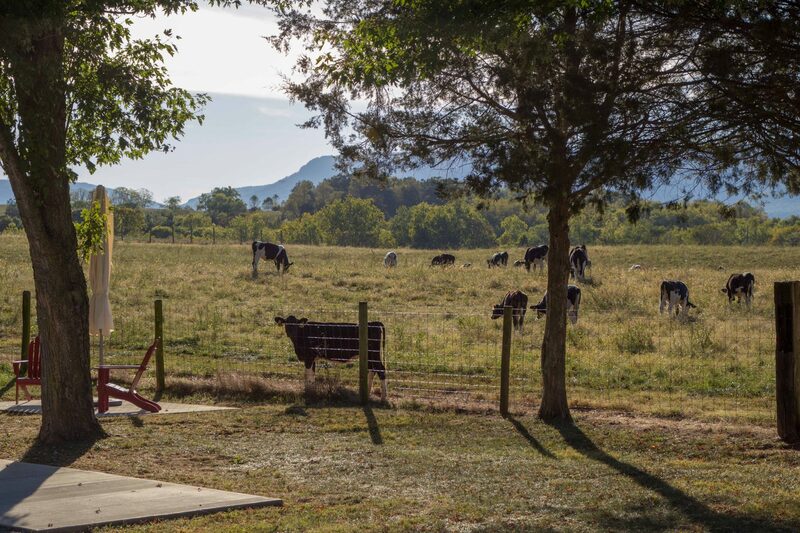 However the morning that we were to arrive we had an impromptu conversation with our neighbor at Pioneer Village RV Park who had just come from a stay at Luray KOA and was talking about camping next to a farm where the cows would come up to the fence every night. He was raving out the place which peaked our interest. 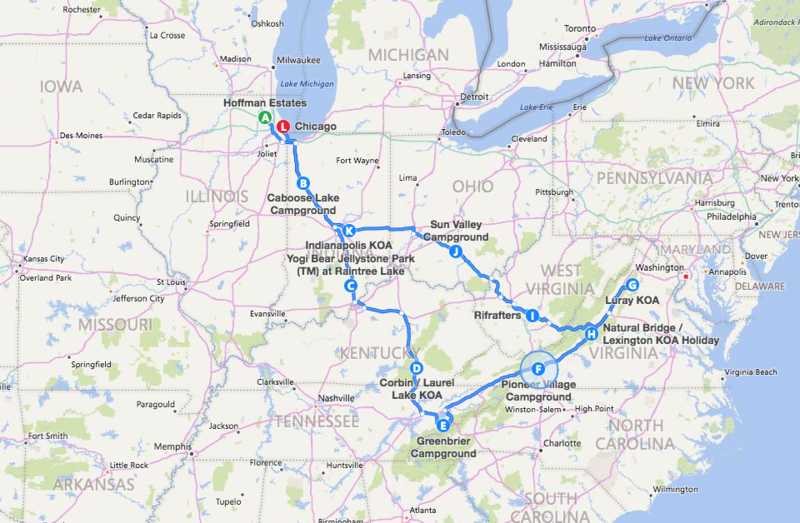 So after jumping on the computer and checking it out, we decided to ditch our original plans and change our stay to Luray KOA. It was a little ways further than the original stop but Jim was liking the idea of staying at a full hook up park so off we went. When we made the reservation we were able to select a site that backed up to the farm our neighbor mentioned. It was the last site tucked in a corner. From the website photos it looked very cool. 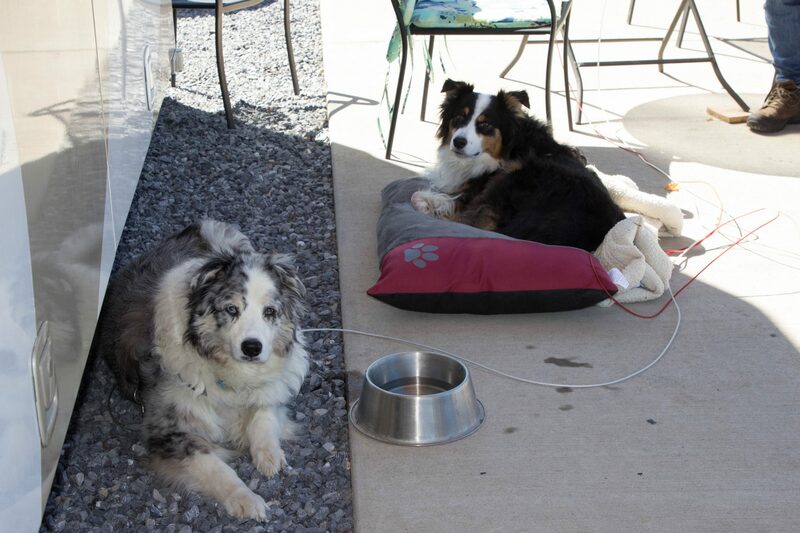 When we arrived there the was a truck in our spot (from the site next door) and they had a big huge dog. So we went back to the office to see what other sites were available. We ended up selecting site #95 which faced a huge field/play area. 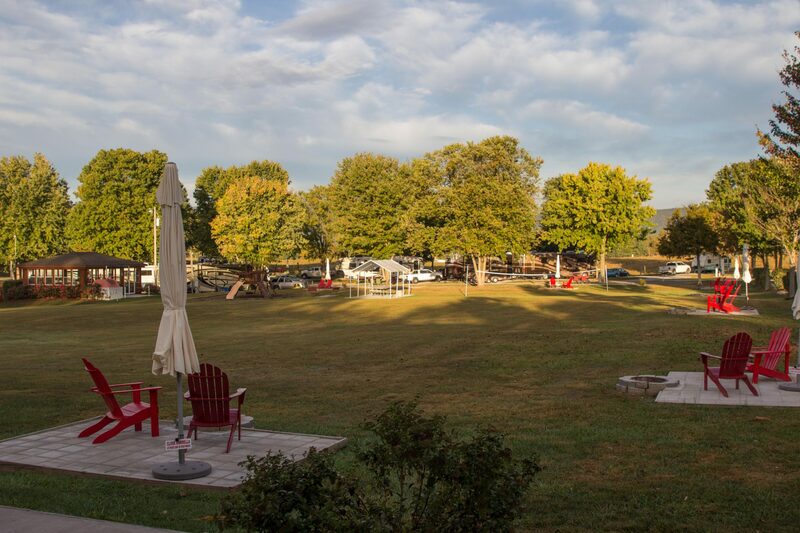 We’ve stayed at a number of KOA campgrounds over the years and Luray KOA by far was the best one. Our gravel site was level, the grounds were very clean. We had a concrete patio with table and chairs and a small patio where the firepit was that overlooked the inner field and farm in the distance. There are a number of great sites at this campground. Besides the sites that sit along the fence line of the cow fields, there are also a number of sites that back up on a overlook of a smaller farm (down a small hill) where they had tons of sheep (cute little babies too) and some llamas. At night when the campground was quiet, you could hear the sheep and the cows in the distance. All of this plus being surrounded by the mountains, it was a beautiful place to be. 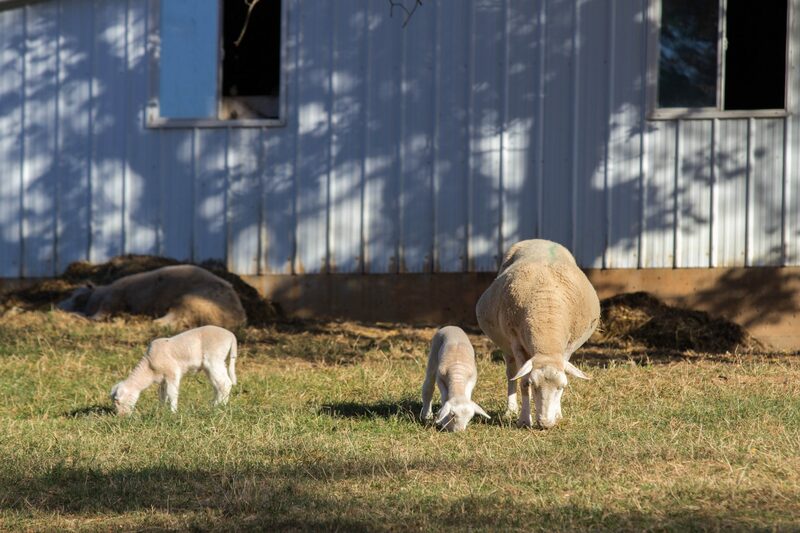 In addition to being surrounded by farm animals, Luray KOA is also only a 15 minute ride to the midpoint of Skyline Drive at Shenandoah National Park. Which was great for multiple day trips to explore the park. Also Luray Caverns are just down the road. 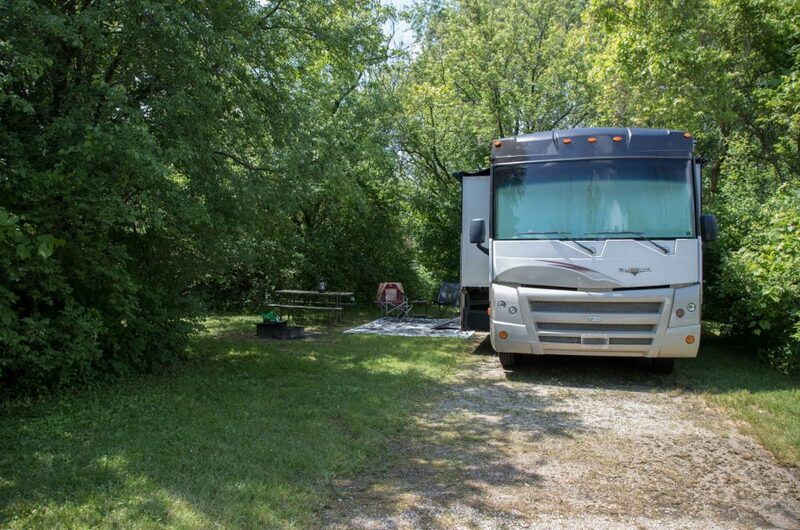 I cannot thank the friendly neighbor we met at Pioneer Village RV Park for recommending this campground. Luray KOA was an unexpected gem of a campground. If you are ever planning on staying in the area, I would highly recommend. Our site was not cheap (closer to $85 a night) but worth it. Site: While not private wooded sites, they were spacious.